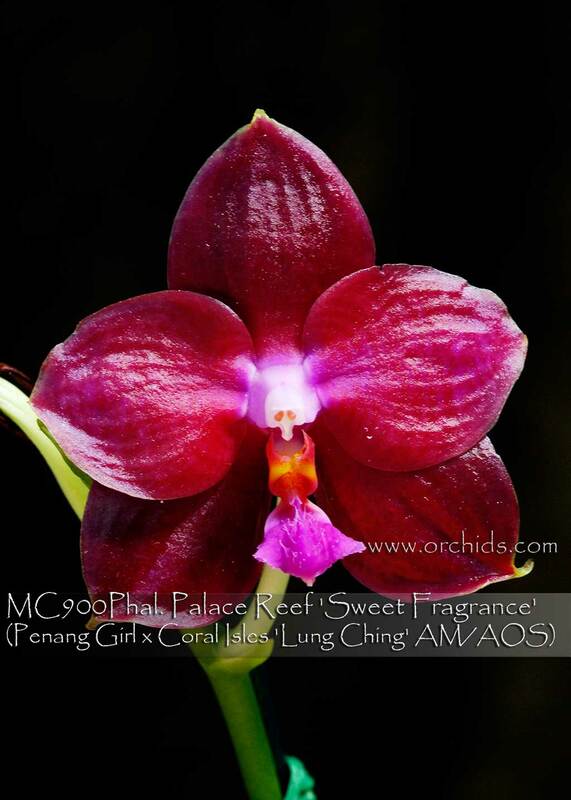 Waxy amazingly fragrant lacquer-red flowers abound on this Limited Stem Prop ! A possible polyploid, it has very compact leaves for this type of breeding, and it flowers on compact spikes in perfect proportion to its leaves. 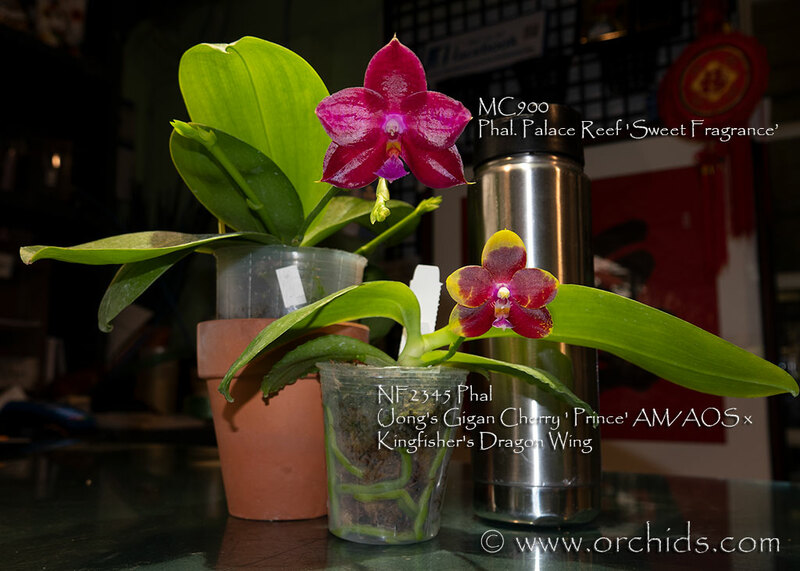 Created with two exceptional and proven parents, this particular clone of Phal. Palace Reef has it all. Highly Recommended ! Sweet Fragrance, Note: Premium in spike with 2-3 spikes. 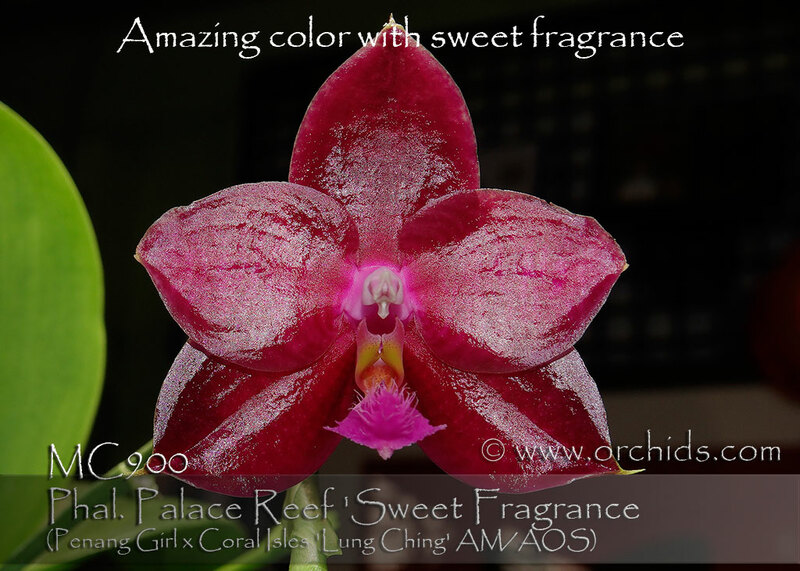 Amazing fragrance.